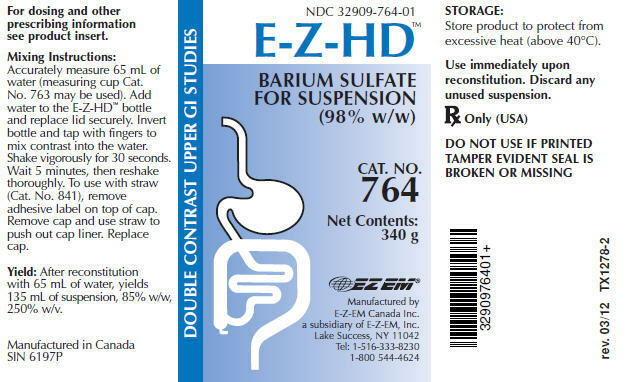 E-Z-HD (barium sulfate) for oral suspension contrast media for use in double-contrast radiographic examinations of the esophagus, stomach and duodenum. 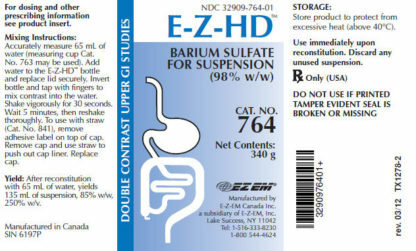 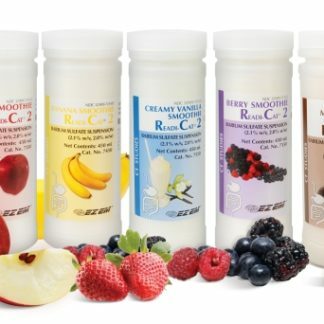 E-Z-HD (barium sulfate) for oral suspension was the first U.S. FDA-approved barium product. Bracco continues its leadership position in abdominal imaging, and is proud to be the only supplier of barium sulfate-contrast media in the U.S. which has achieved the proper regulatory approval for these products, pursuant to guidance received from the FDA.